^ 時光網. 劉玉玲獲獎記錄. 時光網. [2013-06-10]. ^ 2.0 2.1 Roberts, Sheila. Lucy Liu Interview, CodeName The Cleaner. Movies Online. 2006-12-21 [2006-12-21]. （原始内容存档于2007-01-06）. ^ Ogunnaike, Lola. The Perks and Pitfalls Of a Ruthless-Killer Role; Lucy Liu Boosts the Body Count in New Film. New York Times. 2003-10-13 [2007-11-01]. 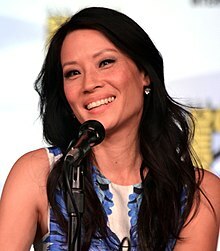 ^ Southland scores Lucy Liu for Season 4. Blog.zap2it.com. 2011-08-01 [2013-04-09]. （原始内容存档于2013-03-26）. ^ Jonny Lee Miller & Lucy Liu Explain Their Elementary Take On Sherlock Holmes! News. Yahoo. 2012-05-16. Retrieved on 2012-06-19. ^ 央視網體育頻道. 挑战项目： SSX TRICKY最高得分. 央視網. [2013-06-10].